Many people neglect the regular cleaning of their car upholstery cleaning, but the truth is that it is something that requires regular care and attention. After all, people are nowadays forced to spend a lot of time in their cars, so they need to be well-protected from all the risks related to dirt accumulations in their vehicles’ upholstery, including various allergens, dust and dust mites. If you are a car owner in Highgate, then our company is the best partner for you, as it offers exclusive car upholstery cleaning services at reasonable prices especially for you. 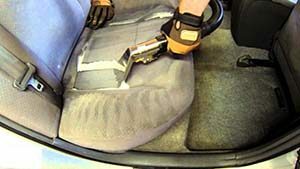 If you want your car upholstery to be cleaned in depth, our services are the best choice for you. We are available to call us whenever it is convenient for you and we have flexible hours completely for your peace and comfort. The first thing to be done by our technicians before getting the job done is thorough inspection of your car’s upholstery type to choose the best cleaning methods and products. Then, vacuum cleaning and hot water extraction is applied, and leather upholstery is treated with special detergents to keep the delicate fabrics from damage. Our cleaners are fully-equipped with the most modern tools and products in order to provide excellent results in return to your money. 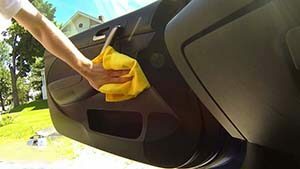 They will not only remove all the dirt and dust accumulations in your car’s internal parts, but will also bring their freshness back and extend their lives. You can easily reach us in Highgate by getting in touch with our customer service representatives that are available by phone and e-mail 24/7. 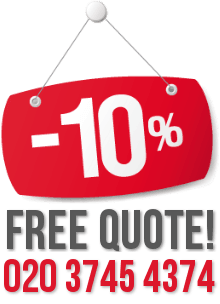 In addition, our car upholstery cleaning services are available seven days a week and also during the weekends and bank holidays for maximum comfort.